The Miss Universe contestants recently debuted their incredible national costumes, and one of the contestants really stood out. Esonica Veira will be taking the stage as Miss U.S. Virgin Islands and fans can’t wait to see her strut her stuff! Check out our Esonica Veira wiki to learn all about her right here. Hailing from the Virgin Islands, Esonica Veira’s nationality and exotic beauty have brought her to the 2017 Miss Universe beauty pageant. She debuted a gorgeous yellow-winged outfit with matching boots and headdress at the Planet Hollywood Resort and Casino in Las Vegas on November 18. This special show is an international tradition, where pageant contestants display an authentic costume that represents their culture. 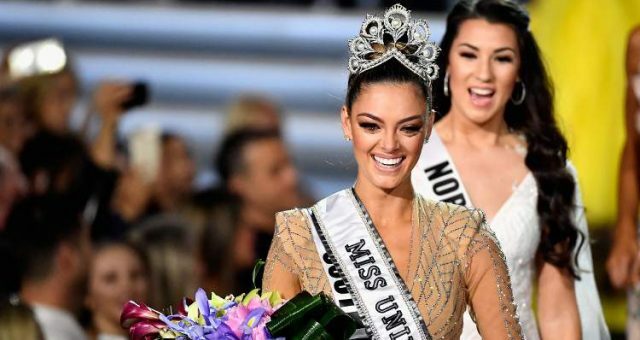 The women will gather together again on November 26 to compete for the Miss Universe crown. Born June 8, 1989, Esonica Veira’s age is 28. Veira describes her style as “classy, glamorous, chic, edgy, and eclectic.” And, her favorite items in her closet right now are her Bebe skinny jeans, which she says, “go just fine with any top, dressy or casual.” Her profile also states that she would love a denim jacket or embroidered leather jacket for their timeless and chic looks. If you’re looking for more photos of Veira’s eclectic looks, then head over to her Instagram! Since she was nine years old, Veira’s been a top model in her home of St. Thomas, beginning with the Roses and Champagne Agency. 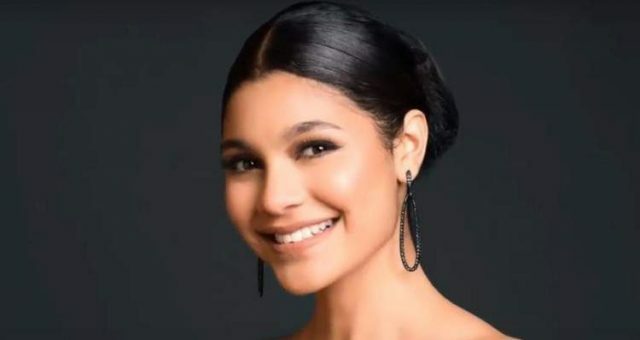 She also participated in events like the Face of Shabeau in Barbados and the annual Caribbean Fashion Week Catwalk held in the Virgin Islands. The beauty was also the first local model to be the face of the Virgin Islands Fashion Week in 2013. The beautiful model aspires to promote self-esteem in young women. She believes that pageants, fashion, and the performing arts are ways that help young ladies build their self-confidence and overall development. Based on her LinkedIn profile, Veira has had experience working as the owner of Forever Royal Cosmetics. She was also an independent beauty consultant at Mary Kay Inc., a fashion and commercial model at Book-Talent.com, a model/pageant coach/makeup artist for the 2011 Miss World Virgin Islands, and an assistant manager at Icing by Claire’s. If you’re looking for information on Esonica Veira’s family or Esonica Veira’s boyfriend, you won’t find much online. It seems her family and relationships have not been reported. 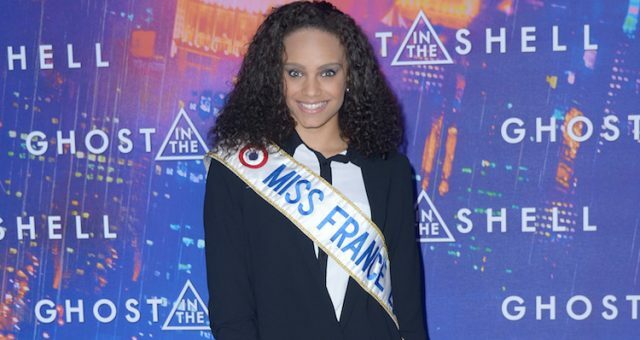 But if Veira wins the pageant, fans will likely see more information about her life rise to the surface. After all, it’s hard to stay private when you’re a star! If you want to see more of Esonica Veira’s hot pics, then check her out on social media. Head over to Esonica Veira’s Instagram or tune in to the Miss Universe Pageant on November 26, airing on Fox. It all goes down at 7:00 p.m. EST!